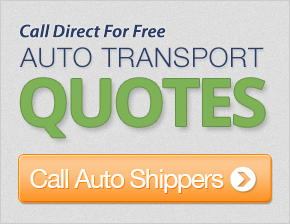 Get up to 7 free auto shipping quotes from the largest, most trusted Wisconsin auto transport companies and save up to 50% on your car shipping rates at CarMoves.com. Car shipping companies in Wisconsin compete for your business, which is how you can save hundreds, if not thousands of dollars on car transport services by shopping with us. Whether you're shipping a car to Wisconsin, across the country, or even overseas, we can help you get the best price on your shipment - guaranteed! Read more about the following auto transport companies in Wisconsin before getting a quote. Click on the name of the company to read a full review. Honey Bee Auto Transport Honey Bee Auto Transport is a fairly popular auto transport broker. Though Honey Bee Auto Transport does not ship to Alaska, the company does ship to Hawaii, Puerto Rico, the Virgin Islands, and the 48 contiguous states. Seasonal and multiple car discounts are readily available. Get a free auto transport quote today to find out how much it costs to ship a car to or from Wisconsin! 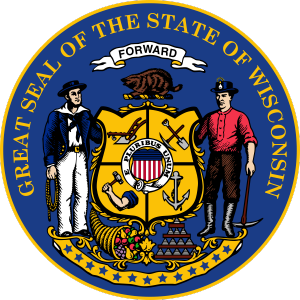 Wisconsin is one of the most recognizable and important states in the Midwest. Most of this sizable state borders Lake Michigan, though it also has access to Lake Superior in the north. Even amongst the agriculture heavy Midwest, Wisconsin leads the nation in many farming categories, including in, famously, cheese production. As a result, the state has earned the moniker, "America's Dairyland." America's Dairyland also leads the nation in corn, cranberry, ginseng, and the production and manufacturing of various other foods. This makes Wisconsin, along with California, the country's most important food resource. Certain cities, such as Milwaukee, have also gained a reputation for their breweries, famously producing brands such as Milwaukee's Best, Pabst Blue Ribbon, and Miller Genuine Draft. Thanks to the abundance of large water bodies within the state, Wisconsin also has a large tourism industry that often depends on water sports and other lake-side activities. At the center of the water-side tourism industry is Door County, located on the peninsula on the eastern side of Green Bay. This lightly populated region undergoes a tremendous transformation in the summer, when warm weather turns Lake Michigan into a veritable paradise. The area offers cherry trees for picking, and fish boils, a cultural tradition with a specific cooking process. Wineries, a microbrewery, and apple picking are also popular in Door County, particularly in early fall. Madison might be the second largest city in Wisconsin behind Milwaukee, but it still manages to be in the top 100 largest cities in the country. Unlike most major Wisconsin cities, Madison is not found around the perimeter of Lake Michigan, though it still manages to be situated in the middle of four lakes. Culturally, Madison is also at odds with many rural Wisconsin cities. The city has gained a reputation for being the home to a strong countercultural movement, including being the home of the Freedom from Religion Foundation, the United States's largest organization dedicated to protecting the rights of atheists and other non-theists. Madison is also among the most educated cities in the nation, and, as a result, is a strongly activist area. Over 42,000 students attend the University of Wisconsin-Madison each year. CarMoves.com works with car shipping companies throughout the state of Wisconsin. We can help you get the best prices on car transport services to the following cities in Wisconsin: Milwaukee, Madison, Green Bay, Kenosha, Racine, Appleton, Waukesha, Oshkosh, Eau Claire and many more. If you don't see your city listed, don't worry - we can get your vehicle shipped anywhere in Wisconsin. Scroll to the quote section on this page to compare free auto shipping quotes from up to 7 Wisconsin auto transport companies and save up to 50% on your move! View the Wisconsin Department of Transportation website for more information.